I told you yesterday I was asked by Zahra of Love Zahra to be one of the eight models she styled for a segment on WGN morning news on December 30th. All of the outfits were pulled from stores at Woodfield mall. 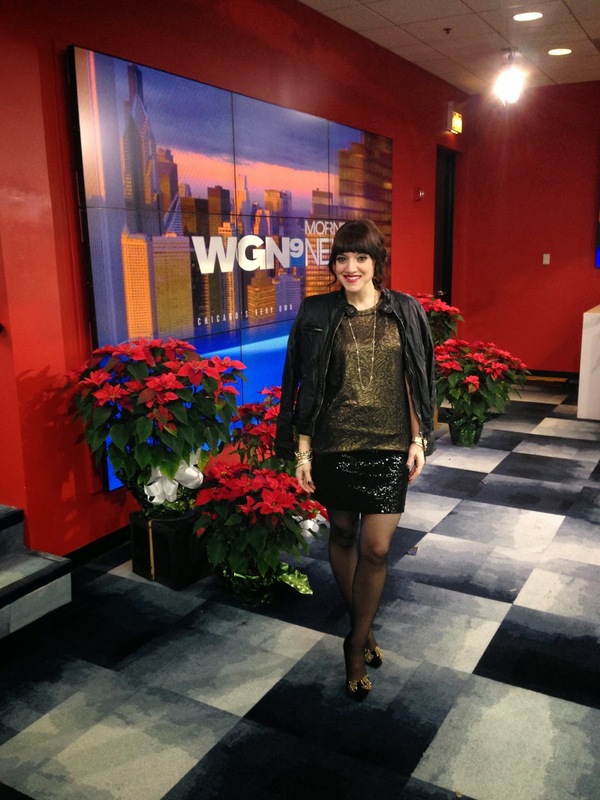 The focus of the segment was last minute NYE looks for under $100. Zahra styled a dressy and casual look for women in their 20's, 30's, 40's, and 50's although I could see myself in at least pieces of each. All the clothing information and prices (on all 8 ladies) can be found here. The other ladies that joined me are Rachel of Chicago Chic Blog, Megan of Stylish and Scatterbrained, Stephanie of The Naked Canvas, Lauren of Lakeshore Lady, Beth of Chic and Glamorous, Shaheen of Lows to Luxe, and Care, who is not a blogger but could certainly be a model (she did the other "what to wear on NYE in your 20's" with me). 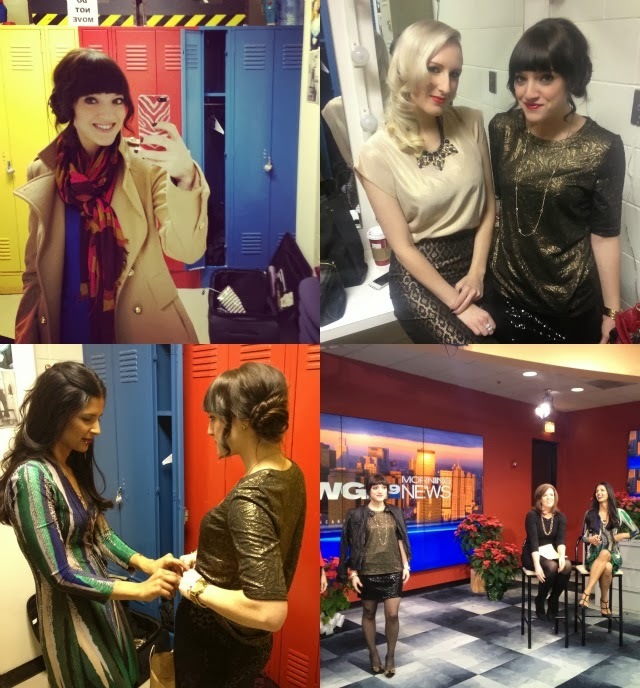 We were given Bozo's old dressing room to get ready in (yes, THE Bozo!) and had to come hair and make up ready. So I was feeling a bit over done at 6:00am on my ride over to WGN needless to say. To find out how to recreate my fishtail side bun, check out my previous how-to hair post over on the Sisters Marie blog. Would you wear any of these looks (or all of them for that matter)? You girls looked amazing. Loved it! Cool! Love your look! I did one for Rent the Runway. I look so big in segment so i'm acting like it never happened.